NGF Europe's glass flake technology has reached new heights - 2,648 feet to be precise. 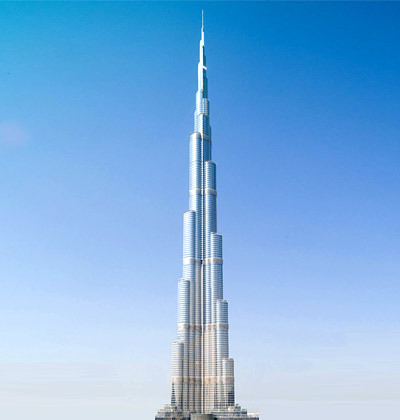 The soaring spire of the world's tallest building - the Burj Khalifa in Dubai - is protected by Baltoflake, a glass flake reinforced polyester coating supplied by NGF customer Jotun. The flakes within the paint act like minute roof tiles, preventing moisture from penetrating to the structure beneath, and the coating promises to protect the spire from abrasion, water and most chemicals for a minimum of 20 years, whilst requiring minimum maintenance. The 160-storey Burj tower contains more than 1000 residential apartments, 37 office floors, a 160-room hotel and a four-storey fitness and recreation annexe.